After many years selling custom Triumph parts and building bikes under the name 8Negro, the Spanish workshop have decided to rebrand and start trading under the new name Tamarit Motorcycles. 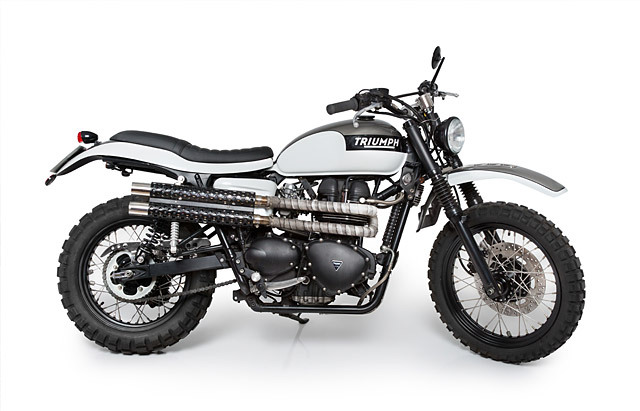 With a new name and a new found enthusiasm, the guys chose a 2006 ‘carbie’ Bonneville as a donor for this scrambler project. From it’s initial inception during a round of beers, it has become the showcase bike to show the capabilities of the Spanish workshop – especially their in house fabrication and new parts range. We are glad to present the latest from Tamarit Motorcycles, a Triumph Bonnie scrambler they call ‘Pegaso’. I’ve always liked the idea of custom bikes having a soundtrack. So much so, we used to always ask the builders who were featured on the site the same question – ‘if your bike was a song, which one would it be?’ Naturally, most of the answers were somehow related to Rock ‘n’ Roll. And as if by a beautiful stroke of serendipity, today’s feature bike is not only a baby of rock, she’s the spawn of the rockiest rock there is – punk rock. Being big fans of the bloody sprawling mess that is punk, we were naturally all ears… and eyes, too. 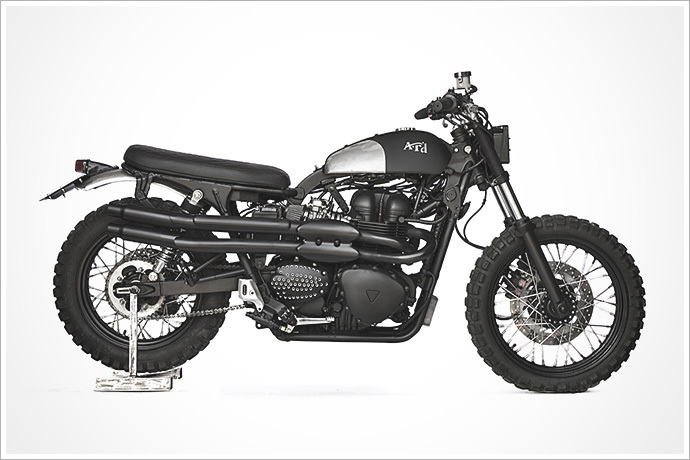 And what a sight to behold; here’s Dagger Cycles latest and greatest hit, a blacker-than-black Triumph Scrambler with an attitude that makes Sid Vicious look like Sid James. There’s nothing quite like a motorbike that has been painted matte black. Sure, these days you see the use of matte black on everything, hell, I’ve even seen a ‘murdered out’ Rolls Royce recently. But nothing beats a blacked out motorcycle, they just look tough. Add a good set of knobby tires and it instantly turns the look of the bike into something Steve McQueen would outrun Nazi’s on, or you’d find in a vintage motocross race. And that’s exactly the look these Italian brothers from Anvil Motociclette were going for. 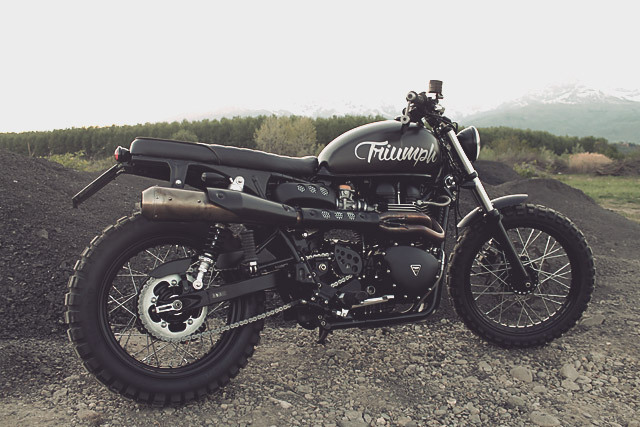 The latest bike to roll out of their Milan based shop is this rugged looking Triumph Scrambler, and they’ve done more than just add some knobby tires.